It is no secret that I have had a long battle with looking after my nails. I bite them to the point of no return when stressed out, yet when I grow them I over paint them and generally just cannot leave them alone. 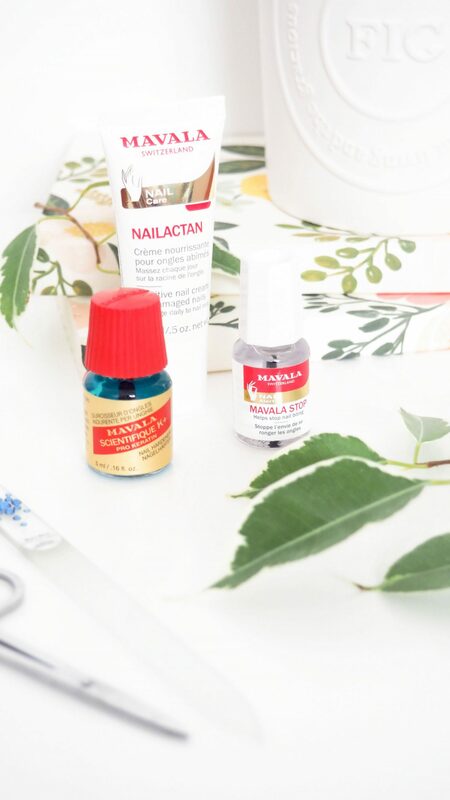 To this day I continue to struggle, however I have recently been using a couple of new products courtesy of the nail care brand Mavala which I have been putting to the test in order to help me out a little bit. In the past I have used countless products from numerous brands, some which have worked for a while whereas others have never really made much of an impact. Personally in respect of the issues I have when it comes to my nails it is more than just a habit, I have other things to resolve so that I don’t become so stressed about various things, no nail product is going to fully help until I can resolve that aspect of my life, however they can aid and that is what I am planning on talking about today. First and foremost, in order to tackle biting my nails I have been using the Mavala Stop treatment. This out of all of the three products featured today is the one which I purchased myself earlier on this year and I would say it is one of the more effective nail biting solutions that I have ever tried. Its not a remotely glamorous thing to talk about but it can be a real issue for many, myself included therefore if you do struggle with nail biting then this may be one to check out. This has a horrible taste (that is a good thing) and applies clear to the nail. Essentiall you’re supposed to keep reapplying this every two days until the habit breaks. It hasn’t worked completely for me, however like I said above, I have other things to work on which I think will help break the habit alongside this product. It is effective though and I would urge you to give this a try if you are struggling. The second product which I like is the Mavala Scientifique K+* which is a penetrating nail hardener. This is for you if you have weak, brittle nails due to pro longed nail biting (hands up) or if you have a keratin deficiency. Fruits and vegetables high in Vitamin A help the body to produce keratin so obviously ensuring you eat the right foods will help you have healthier nails, hair and skin in general. Although I would advise looking into this more if this is something you’r interested in, touching on fruits and veg is only brushing the surface on what you can do to help your body. In order to use this product, you simply need to ensure that your nails are clean and that there is no polish on them already. Then you simply paint it on as you would any other nail product and leave it to penetrate into your nails. You can then follow up with your normal nail polish colour and top coat. The last product within my new nail care routine is the Mavala Nailactan* which is a nail cream that you massage into the nail overnight. I am quite sure you could use this during the day, however as we use our hands all of the time for eating, typing on keyboards and using our phones and of course washing them, it is best to leave this for nighttime use so that your nails can reap the benefit for a longer period of time. This product aims to restore elasticity to the nails in order to prevent splitting as they can so often become dried out from hand washing, hot weather and other environmental factors. 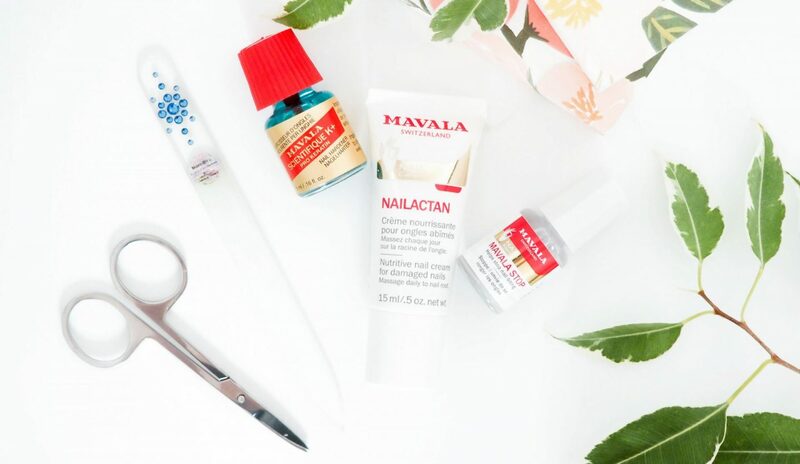 Have you used any Mavala products within your nail care routine? I’m interested to also hear if you have used any of their colour nail polishes as I haven’t personally, however I have read some very good things about them recently in respect of how long they last. I find that when I chip my nails then I am more likely to mess with them rather than leaving them alone, therefore a long lasting nail polish is a must! You can find out more about Mavala and the products that they offer here.